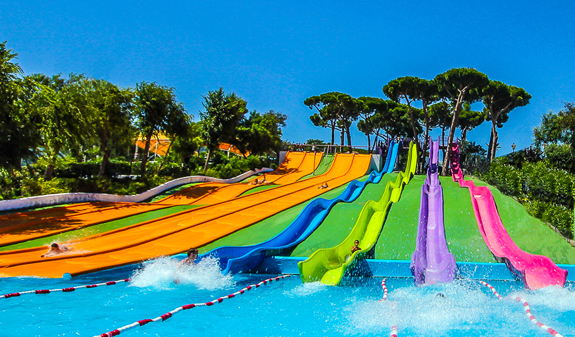 Just 20 minutes outside Barcelona there's a huge water park with more than 70.000m2, where you can have fun with your family and friends. With huge swimming pools, a wide range of restaurants and large picnic area you'll find everything you're looking for!. 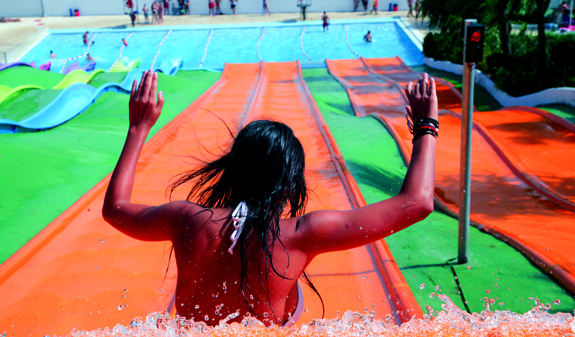 Situated right in the heart of the Maresme county, very close to Barcelona, Illa Fantasia is your best choice for a cooling, water-fuelled day out with your family or friends. 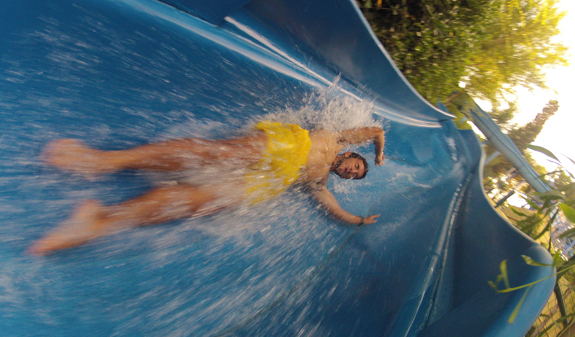 Jump onto the slides and immerse yourself in a world of fun!. 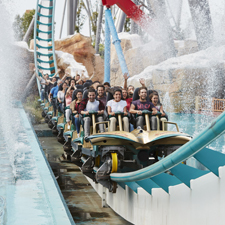 Aquamania, Kamikazes, SuperTobogan, Torpedo, Espiral, Zig-Zags, Espirotub, Masia, Ràpids, Jardí de les Delícies, Megatous, Riu Salvatge… The park offers you 22 iconic attractions, three large swimming pools, wave pools and a lake, nine restaurants and landscaped areas with more than 900 open-air picnic tables. 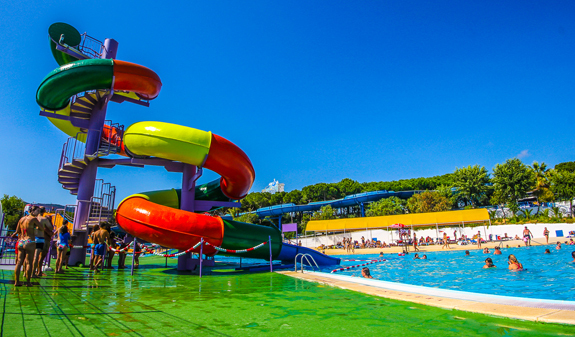 Illa Fantasia also has a children's play area, with mini water slides, such as the Laberint Pirata and Minitous, designed so that kids aged from 2 to 10 can have fun in the utmost safety. Illa Fantasia offers all the services you'll need for a fun day out. A wide range of restaurants, there are hamburger, pizza and hot dog restaurants, an ice cream parlour, and a café; shop, lockers, changing rooms, disabled toilets and free parking. Admission to Illa Fantasia water park. Bus from Barcelona to Illa Fantasia. Opening dates: 8th June to 11st September 2019. June and September: daily from 10am to 6pm. July and August: daily from 10am to 7pm. Address Illa Fantasia: Finca Mas Brasso. Vilassar de Dalt. How to get there by car: C-32 motorway, exit 92, Vilassar de Dalt or NII road, Premià de Mar exit. Nearest public transport: Rodalies Renfe R1, trains to Premià de Mar station. Regular buses from Barcelona, stopping at the park. Free bus from Barcelona. Departure point. Street Ronda Universitat 5-17, next to Plaça Catalunya. June and September, departure at 10.15am and return at 5.30pm. July and August, departure at 10.15am and return at 6.30pm. Departure point. Sants Estació: Passeig Sant Antoni, 2613. June and September, departure at 10am and return at 5.30pm. July and August, departure at 10am and return at 6.30pm. Bus company Julia (green and white). Free admission for children under 90 cm tall. Attractions aren't suitable for disabled visitors.